Savayda was discovered by herbs twenty four years ago. Her life changed when she wandered into a herbal apothecary in a quaint courtyard in London, England. In that experience she realized that herbal medicines heal and that they have been used to do so by all peoples throughout the ages. She was attracted to herbs for their ability to restore health gently, yet effectively, without causing harm, and found resonance with the holistic philosophy of the practice of herbal medicine. She knew then and there that she wanted to be a herbalist. From there the travel bug lead her to Thailand, Nepal and India where she was influenced by the traditional healing systems of those cultures. While in India, she was infected by a bug of another kind and was very sick with aoemebic dysentary. She returned to Canada to begin formal herbal studies at Dominion Herbal College in Vancouver where she completed the four year phytotherapy program from the School of Phytotherapy in England. She paralleled this study of medical sciences, traditional European herbalism and clinical training with a course by Don Olison focusing on the traditional medicine systems of the Haida of the Pacific Northwest, and Ayurveda from India. This combined training gave her a balanced approach to herbal medicine, which combines modern scientific understanding of herbs and health, with centuries old traditional modes of herbal healing. An important part of her study was her own healing experience after consulting with a herbalists regarding the lingering digestive upset from the infection in India . She was guided through an eight week program of herbal remedies and dietary change that lead to complete resolution of her chronic digestive disorder. She gained valuable practical experience working for five years alongside renowned medical herbalist, Chanchal Cabrera, and other eminent herbalists, at Gaia Garden Herbals in Vancouver. There, she worked in the dispensary and shop-front, completed a portion of her 500 hours of clinical practicum and began her private practice. She sprouted as a herbalist in BC and was then ready to spread herbal medicine eastward, and returned to her home, Nova Scotia, in 2002. Since her return, she has been a driving force in the herbal movement in the Maritimes. 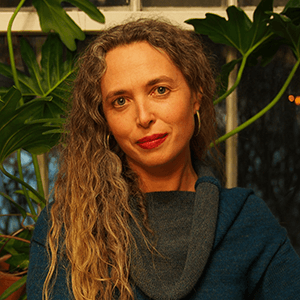 She operates a full time clinical practice and dispensary, offers several year-long courses in herbal medicine for adults and children, leads workshops and herbwalks, and reaches the masses through writing and media appearances. She feels extremely fortunate to be living her life passion, to connect people with plants for healing and wellness. She takes at least 15 herbs a day. Another of her passions is teaching women how to connect with and restore balance to their menstrual cycles. As a Fertility Awareness Educator she assists women and couples to prevent or plan pregnancy naturally. She is also dedicated to promoting cancer prevention.